Money has long served as an inspiration in the sneaker industry. The Nike Dunk "FLOM" is considered by many to be a top grail and Atlanta's Wish made news last year with the release of the "Independent Currency" adidas Originals SL Loop Runner. Now, another collaboration has is on its way that features some international guap. 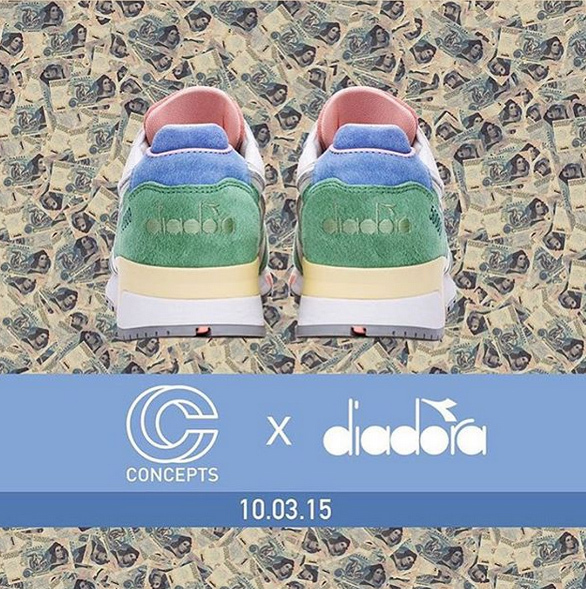 Earlier today, Concept's Deon Point took to Instagram to share a teaser of the brand's upcoming collaboration with Itay's Diadora. The inspiration, which Point has confirmed on his Instagram, comes from the 500,000 Lira bank note that depicts Italian Renaissance painter Raphael and an image from his fresco, "The Triumph of Galatea." The collab is set to hit retail beginning Saturday, October 3. More news about the release should be forthcoming in the near future. For now, check out the 500,000 lira below to see where Concepts pulled its design details.